Put Matthew Cutter’s rock bio on the short list of recent titles that are compelling beyond their subjects’ circle of committed fans. Like Bob Mehr’s Replacements biography Trouble Boys and Warren Zanes’ book on Tom Petty, Closer You Are is entertaining and worthwhile to anyone interested in reading about an iconoclast who made his own way in the world against steep odds. Robert Pollard is introduced as a kid living near Dayton, Ohio, whose acumen for sports at school is gradually overwhelmed by an outsized fascination for art and music. His fictional album covers, band names and song titles eventually give way to the real thing. Pollard half-emerges from obscurity while cementing a reputation among savvy listeners for innovative musical collage, and amasses lo-fi credibility with Guided By Voices albums like 1992’s Propeller and 1994’s Bee Thousand. To the disbelief of his peers, Pollard quits steady work as an elementary school math teacher at age 35 to fully pursue and create his low-budget, alcohol-fueled rock and roll at a nearly inhuman rate of productivity. Pollard becomes heralded for his intuitive knack for melody, as well as his alternately inspired and inscrutable lyrics. On stage, he is acclaimed for enthusiastic but pretense-free rock showmanship (despite adopting the accent of his British Invasion heroes while singing), not to mention for remembering his lines or simply remaining upright and while under the influence. 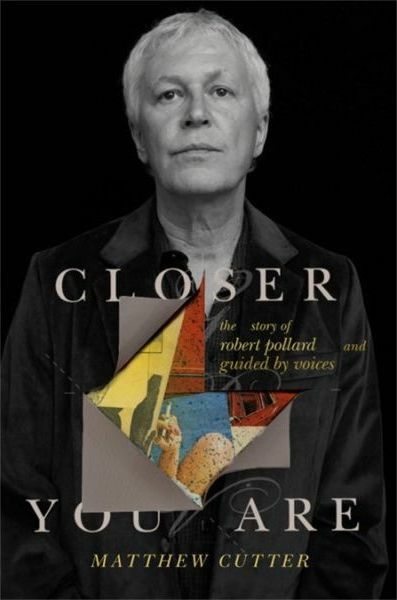 Closer You Are describes collaborators and abettors ranging from garage recordists and supportive staff at indie label Matador to the nearly-revolving door of sidemen who helped bring GBV to life as a band of scrappy underdogs. Camaraderie and collateral damage both fuel the chaos. 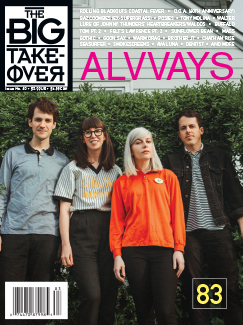 The story arc’s nadir is paradoxically found where most musicians would have found its peak, as Pollard and GBV spent two years releasing and supporting albums Do the Collapse and Isolation Drills on TVT Revords with large-scale budgets, A-list producers Ric Ocasek and Rob Schnapf, and major distribution. Even though Pollard chafed against the star-making machinery, he took lessons from his time “in the belly of the shark” to improve his craft heading toward 2004’s would-be swan song Half Smiles of the Decomposed. Cutter’s extensive access to Pollard and associates yields descriptions of the brotherhood and friction that coexisted as Pollard led GBV to its Electrifying Conclusion at Chicago’s Metro on New Year’s Eve 2004. Pollard intended for GBV’s story to find closure in its stronghold of Chicago, but Cutter also covers the artist’s unrelenting creativity and the perhaps inevitable resurgence of his most famous musical outlet. What couldn’t have been predicted is the superior quality of albums like 2018’s Space Gun, and the high hopes for multiple new albums in 2019 including Zeppelin Over China. Fans will love Cutter’s tale of their “fading captain.” New listeners may be intimidated by the sheer volume of Pollard material to absorb, with more than 100 albums on offer when solo and side projects are counted alongside Guided By Voices’ output. For those overwhelmed neophytes, Closer You Are is a godsend. It’s also an open doorway into the fascinating and continually rewarding musical world inside Robert Pollard’s mind.